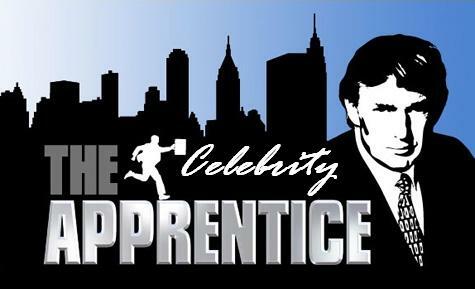 I appreciate Donald Trump and the empire he has created in “The Apprentice.” I haven’t really seen a version of “Celebrity Apprentice” until tonight and tonight made me realize no matter how old we get, we can still all act like 4th graders. Meatloaf spontaneously combusted all over Gary Busey and a slur of four letter words went flying through the air quicker than a time warp. (Thought I would throw that in there.) And in an oh-so poignant moment, the apology between the two was very sweet… or as sweet as it can be when two old celebrities hug on camera. In fact following the hug, I heard my favorite quote of the night: “…Dancing on a Rainbow with no fear. And no doubt.” It’s definitely something to think about. Something else to think about – vacation. I need one. Somehow I need to save up a few dollars and get the heck out of dodge for a few days. Of course I want to go back to NYC for a week or two (or more), but realistically, I may just have to hang around the house and read some good books or something like that. I love to read and haven’t spent quite enough time doing that lately. Nice and relaxing. I suppose I should start getting ready for bed and also figure out what I’m going to wear tomorrow. Goodnight moon…. You would assume that I sleep… but when I do actually get some shut-eye, I have to sleep with ear plugs that block out up to 39db of sound. Sad, but true. Might have to have the girls send rocket launchers instead. The problem with that is the cleaning fairy does away with them by the time I wake up the next morning. Gotta get something more concrete …. like concrete?